Carnival, Bygg nr. 6268, 6271-6273 & 6275 ved Fincantieri, Cruiseskip "Sky Princess/Costa Venezia/Carnival Panorama/Costa TBN/Enchanted Princeess"
Trieste, 2 April 2016 – Following the historical agreement of March 2015 and the memorandum of agreement of last December, Fincantieri, leader in cruise ship design and construction, and Carnival Corporation & plc, the world’s largest cruise company, have finalized the contracts for the construction of five next-generation passenger ships. The historical contracts finalized today envisage one further unit compared to the memorandum of agreement of December and mark the most important goal reached by the two Groups in the last years, having a total value which exceeds 3 billion euros. Crucial, once more, for the finalization of the agreement, the supporting of the export credit system lead by Cassa Depositi e Prestiti (Cdp). This support represents for Fincantieri, like for every Italian exporter, an essential element for the efficiency of the “Italian system”. Two of the new ships will be built for the Costa Crociere brand Costa Asia, other two for Princess Cruises and one for P&O Cruises Australia. 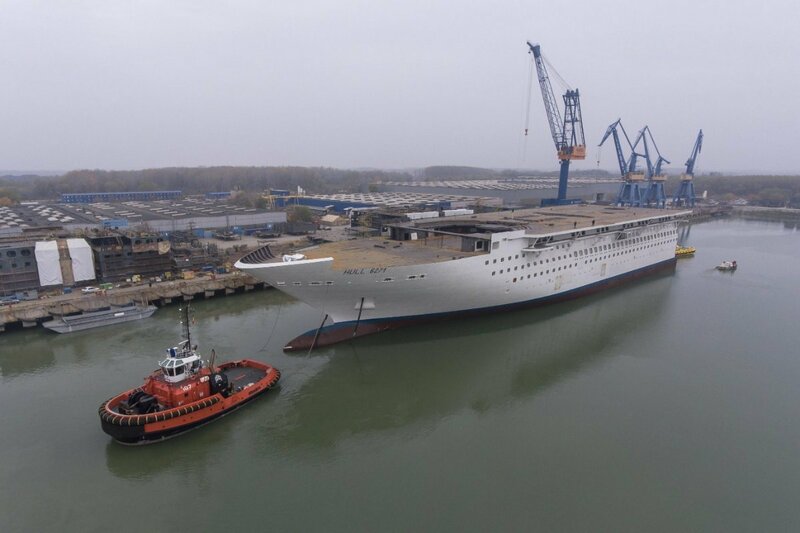 They will all be built at the shipyards in Monfalcone and Marghera between 2019-2020, and will operate on the emerging cruise markets, among which China, Australia and others, once entered in their respective fleets. 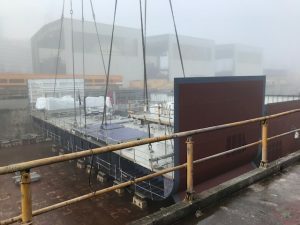 The announcement was made on board of “Koningsdam”, the new ship of Holland America Line’s fleet, other brand of the Carnival Group, delivered to the shipowner on March 31, and presented today at Fincantieri’s shipyard in Marghera. The contracts were signed by Micky Arison, Chairman of Carnival Corporation, and Giuseppe Bono, CEO of Fincantieri, in the presence of Graziano Delrio, Minister of Infrastructures and Transport, personally delegated by the Prime Minister’s Office, to represent the Italian Government. Also attending the ceremony were several authorities and, among others, Arnold Donald, CEO of Carnival Corporation, Stein Kruse, CEO of Holland America Group, which comprises the Holland America Line, Princess Cruises, P&O Cruises Australia and Seabourn brands, Michael Thamm, CEO of the Costa Group, which includes AIDA Cruises and Costa Crociere, and Orlando Ashford, President of Holland America Line. The new units will be specifically designed and developed for each brand and the guests they will serve. The ships for Costa Asia and P&O Australia will be 135,500-ton vessels with the capacity to carry 4,200 passengers on board. 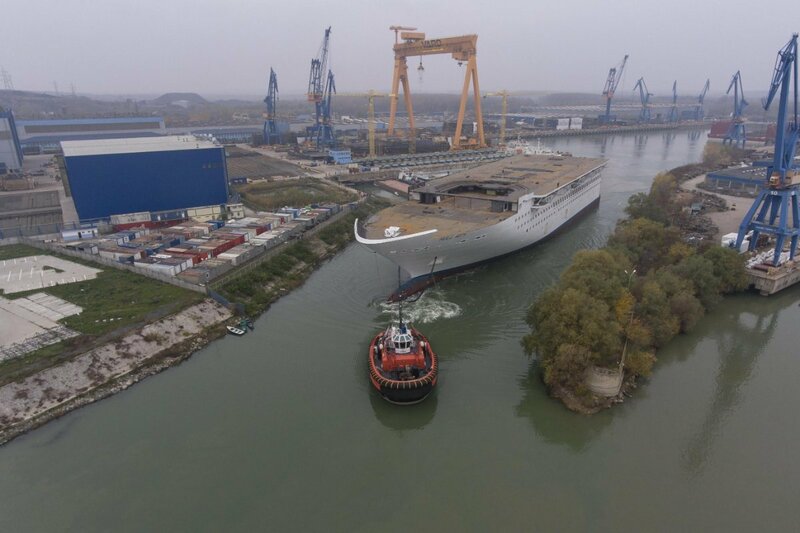 The ships for Princess Cruises will be 143,700-ton and 3,560-passenger ships and will be the brand’s fourth and fifth vessel of the “Royal Princess” class, after “Royal”, “Regal” and “Majestic”, all built at Fincantieri’s shipyard in Monfalcone, the last of which due to delivery in 2017. Giuseppe Bono, CEO of Fincantieri, stated: “This result, which is by far one of the most important ever achieved by an Italian industry, makes us proud of the strong commitment made over all these years, which helped to make Fincantieri an excellence acknowledged worldwide for product diversification and quality, with an unparalleled workload in terms of time, which ensures full development and a long-term strategic perspective. Today - concluded Bono – we further strengthen the relationship with our friends in Carnival, a partnership that has enabled both groups to grow over the years and which is further reinforced by an unprecedented strategic agreement. Thanks to it we look at the future in order to develop new projects together and meet the new challenges that the market will present us”. Arnold Donald, CEO of Carnival Corporation, commented: “Today has been especially exciting for our company, our partners and our guests, as we celebrated the arrival of our amazing ms Koningsdam ship and officially signed agreements with Fincantieri to build five new cruise ships for the future. Supporting our goal to exceed guest expectations on every cruise – continued Donald - these new ships will create a whole new level of excitement and opportunity to deliver experiences that our guests will not only remember for the rest of their lives, but will also share with others. Using our strategic fleet enhancement plan to delight our guests is an important part of our measured growth strategy, which includes replacing less efficient ships with newer, larger and more efficient vessels over a very specific period of time”. The cooperation between Fincantieri and Carnival Corporation has a remarkable strategic value not only for the shipbuilding industry but for the entire national economy. The contracts announced today, indeed, outline long-term activities from one of the major foreign investors in Italy: the American group, thanks to the partnership with Fincantieri, invested in our country – also counting today’s announcement – almost 30 billion euros. In fact, Fincantieri has built 72 cruise ships since 1990, 60 of which for Carnival’s different brands, while other 24 ships are currently being designed or built in the Group’s yards, 11 of which for the shipowners of the American group. Costa Cruises held a traditional coin ceremony for its newest ship, the Costa Venezia, on Wednesday. Named after the Italian city of Venice, the vessel is the first Vista-class ship specifically designed and built for China. The 135,500-ton vessel, being built by Fincantieri, will feature 2,116 passenger cabins and a capacity of 5,260 total passengers. Passengers can immerse themselves in a multi-sensory trip featuring Venetian food, art, music and entertainment. Come nightfall, guests can participate in an on board version of the Carnival of Venice, the city’s famous festival known for its elaborate masks. An inaugural world cruise has been planned following the completion of the Costa Venezia that will begin in Trieste, Italy, and end in Shanghai. Along the way, the ship will call in countries such as Greece, Israel, the United Arab Emirates, Malaysia, Vietnam and Japan, following Marco Polo’s famous journeys between Italy and China. The ship will depart from Italy in early March 2019. Costa Venezia’s addition to Costa's Asia fleet in 2019 will be followed by an additional ship in 2020, which will also be specially designed for Chinese consumers. Costa Cruises claims to be the first international cruise company to enter China in 2006. 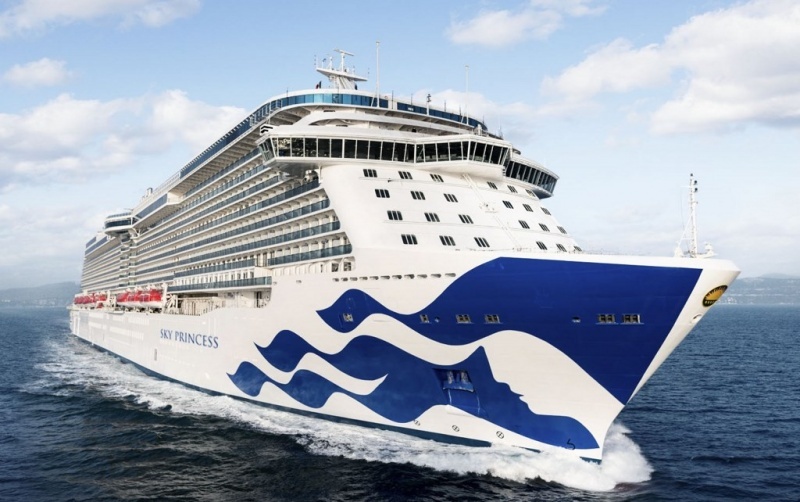 Princess Cruises announced that its fourth Royal-class ship will be named Sky Princess and is scheduled to debut in October 2019 on a series of Mediterranean voyages. 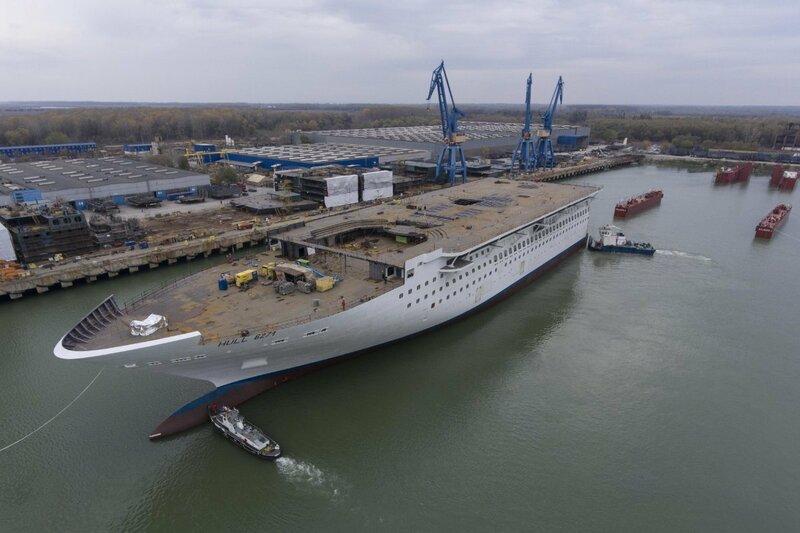 The 143,700 ton, 3,660-passenger vessel will feature an evolution of the successful design platform used for previous Royal-class ships, the company said. The inaugural Mediterranean deployment of Sky Princess features 10 cruise departures on eight itinerary options. First up, is a seven-day "Mediterranean & Adriatic" cruise from Athens (Piraeus) to Barcelona departing on October 20, 2019. This voyage is combinable with a seven-day Mediterranean Barcelona to Rome (Civitavecchia) voyage for a 14-day Inaugural "Western Mediterranean & Adriatic Medley" from Athens to Rome. In addition, Sky Princess will sail on a new seven-day Mediterranean roundtrip Rome voyage, combinable with a seven-day Mediterranean Barcelona to Rome for a 14-day "Western Mediterranean Medley" voyage calling in some of the most iconic ports in the Mediterranean Sea. The ship then sails from Barcelona to Ft. Lauderdale ahead of a expect winter season in the Caribbean. Carnival Panorama has been chosen as the name of Carnival Cruise Line’s new Vista-class 133,500-ton ship scheduled to debut in fall 2019. Carnival Panorama will join its sister ships – Carnival Vista, which entered service in 2016, and Carnival Horizon, set to debut April 2, 2018, the company said. Additional design details, as well as homeport and itinerary information for Carnival Panorama, will be announced at a later date. Very interesting footage from Vard Tulcea. I had read that Vard would be building some blocks for Fincantieri, but I did not realize they would build such big sections. 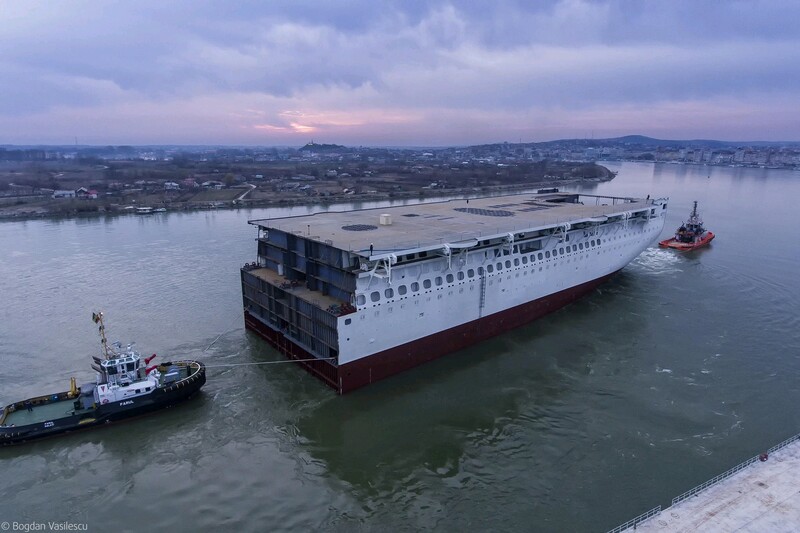 Being built at Fincantieri shipyard in Monfalcone as Costa first ship designed specifically for the Chinese market, Costa Venezia marks a major milestone for the Italian company and its commitment to future of Chinese cruise industry. The design of the ship is dedicated to the city of Venice. The vernissage cruise will depart from Trieste on 3 March 2019. 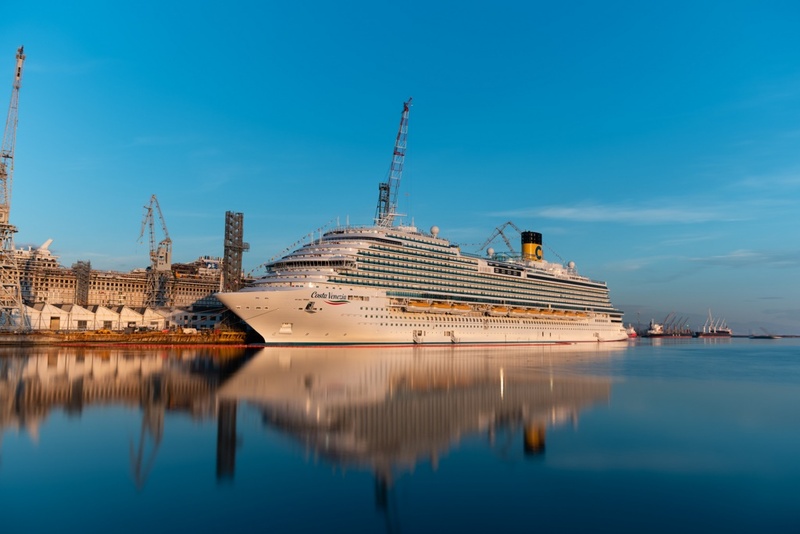 Monfalcone, June 22, 2018 – Costa Cruises, the Italian company of Carnival Corporation & plc(NYSE/LSE: CCL; NYSE: CUK), the world’s largest leisure travel company, and Italian shipbuilder Fincantieri, one of the largest shipbuilding groups in the world, today celebrated the official float-out ceremony of Costa Venezia – Costa first ship designed and built specifically for the China market. 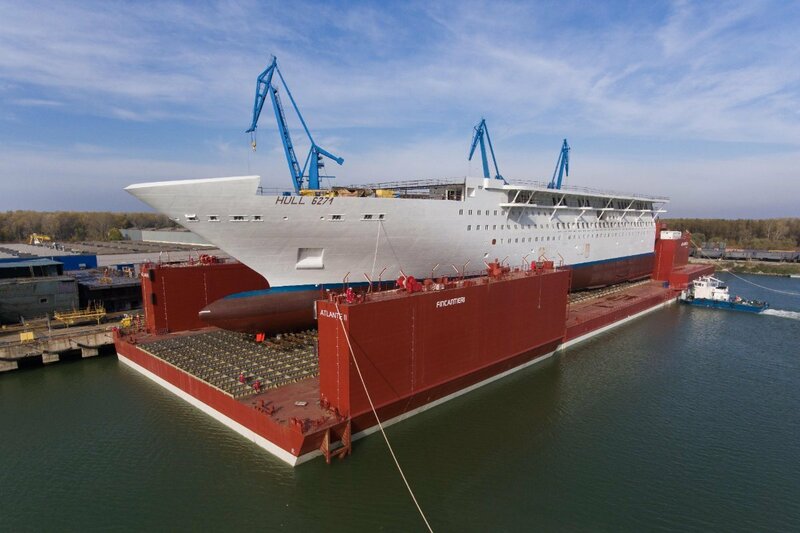 The ceremony was held at Fincantieri shipyard in Monfalcone, Italy, where the ship is being built. 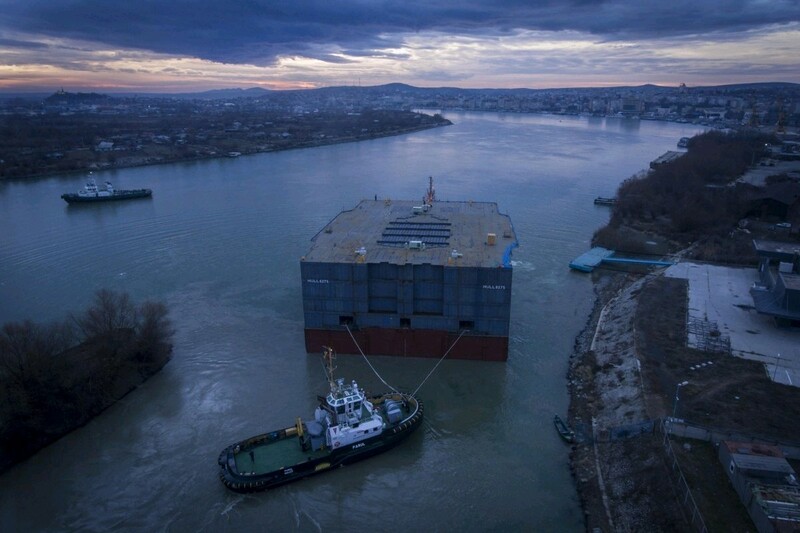 As part of today’s float-out ceremony, the new Costa ship officially reached the sea for the first time. The celebration followed the protocol provided by the seafaring tradition for such occasions, by flooding the basin where the ship took shape in recent months, following the cutting of the ribbon and the breaking of the bottle by the float-out ceremony’s godmother Chiara Ustulin, an employee of Monfalcone shipyard. Costa Venezia will enter service in March 2019, once the interior fittings have been completed. More than just a new addition to its existing China-based fleet, the Costa Venezia marks a new milestone for the Italian company and its commitment to the future of the Chinese cruise industry. Designed with the specific leisure and entertainment requirements for Chinese guests, Costa Venezia will bring to life the passion of Venetian and Italian culture. The ship’s theatre will be inspired by the Venetian “La Fenice” theatre; the main atrium will recall “Piazza San Marco”, while restaurants will be dedicated to the typical architecture of Venetian alleys. Costa Venezia will also feature original “gondolas”, made by local artisans. An enchanting masked party will recreate on board the magic atmosphere of the famous Carnival of Venice. Guests will also be able to sample the delights of fine Italian dining, luxury Italian shopping and world-class Italian entertainment, while enjoying home comforts such as a range of Chinese cuisines and Chinese-style karaoke and the "Golden Party", with lots of surprises and gifts to be won every ten minutes. Before arriving to China next May, Costa Venezia will set sail for two cruises, both departing from the Italian port of Trieste. 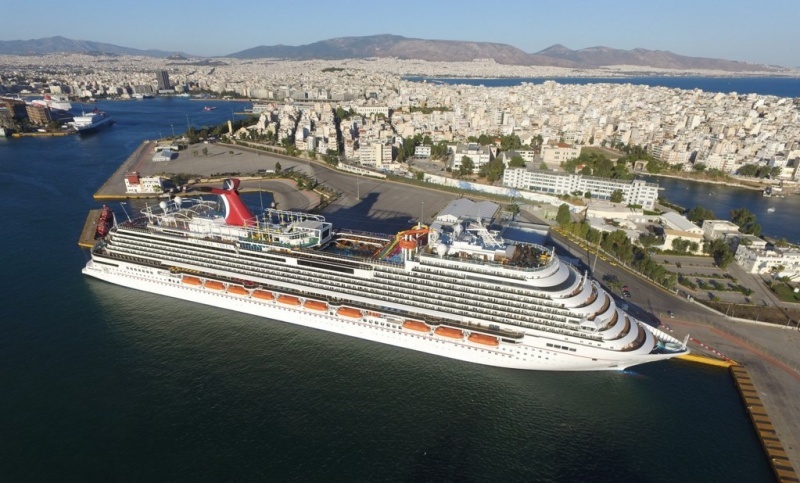 On March 3, 2019 the vernissage cruise to Greece and Croatia, followed on March 8 by a 53-day inaugural cruise, in the footsteps of Marco Polo, making its way through the Mediterranean, the middle east, Southeast and East Asia, before arriving at Tokyo. The vernissage and the inaugural cruises will be the only departures available for European and American guests to enjoy a holiday on the new ship. Starting from 18 May 2019, Costa Venezia will be dedicated to Chinese guests, offering them an Italian twist throughout East Asia, with homeport in Shanghai. Costa Venezia will mark the latest step in a long list of innovations from the first international cruise company to begin serving the local Chinese market in 2006. At a length of 323 meters and measuring 135,500 gross tons with a capacity of more than 5,100 guests, Costa Venezia will be Costa largest ship operating homeport cruises from China. Costa Venezia will also be followed by the launch of its sister ship in 2020, being built by Fincantieri at Marghera shipyard. These two new ships for Asia will bring to 14 the total number of Costa ships built by Fincantieri in Italy, for a total investment of over 6 billion euros. 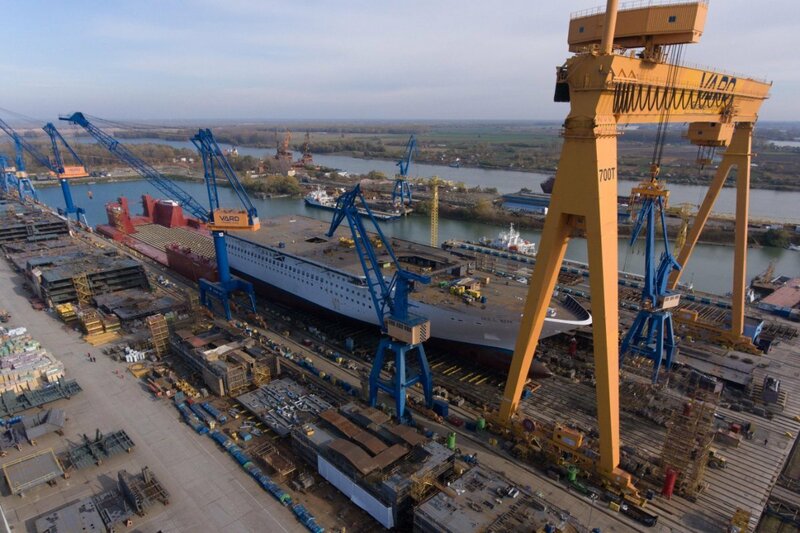 The projects for construction of the new ships require thousands of shipyard workers and ancillary employees. Employment benefits not only concerns the shipyards but, above all for the interior design, also external companies, most of which are Italian. Overall, the Costa Group currently has seven new ships on order by 2023. 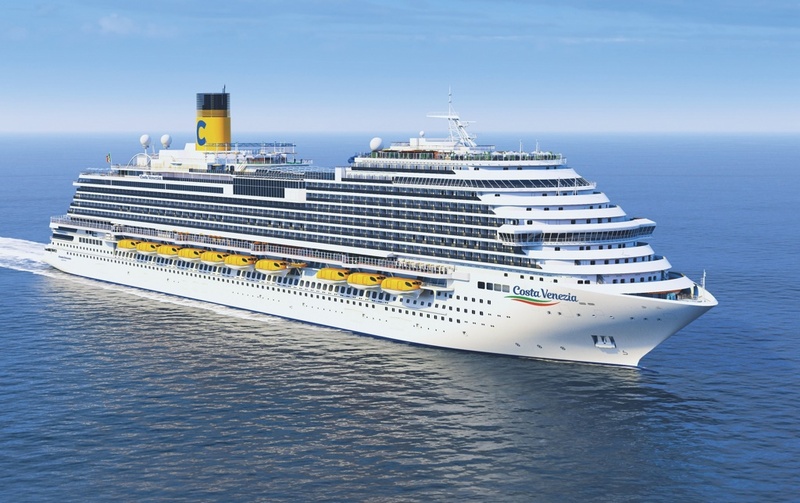 Costa Venezia will be followed by Costa Smeralda, the new flagship of Costa Cruises, scheduled for delivery in October 2019. Namnet på bygg nr. 6275 blir "Enchanted Princess"
Trieste, December 06, 2018 – “Carnival Panorama”, the new ship of Carnival Cruise Line, a brand under Carnival Corporation & plc, the world's largest cruise ship operator, was launched today at the Fincantieri shipyard in Marghera (Venice). Interior fittings will now begin, leading the ship to its delivery, scheduled in autumn 2019. 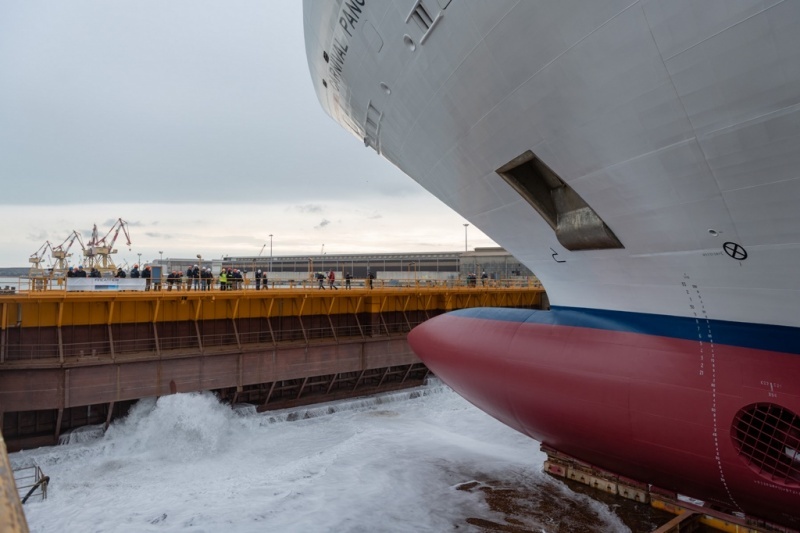 The ceremony was attended, among others, for the ship owner by Ben Clement, Senior Vice President of Carnival Cruise Line, Marco Scaramuccia, Project Manager of Carnival Panorama, and for Fincantieri, Antonio Quintano, Director of the Marghera shipyard. Costa Cruises announced that the new Costa Venezia will be christened in Trieste on March 1, 2019, before transiting to China. She is one of seven new ships being delivered to Costa Group by 2023, marking a total investment of some 6 billion euro, the company said. The Costa Venezia will be the company's largest ship in China at 135,500 tons, and with capacity for 5,100 guests. While christening details are still being worked out, Costa said there will be a full city-wide fireworks display, and multiple giant screens for spectators to watch the ribbon-cutting ceremony. The event will be attended by around 1,500 guests from China, South Korea, Japan and several European countries, and they will also have the opportunity to discover Trieste and its surrounding area, as the ship will be moored in the city until March 3, when it will depart for its first cruise. "We are very happy to be celebrating the naming of Costa Venezia in such a beautiful Italian city as Trieste. 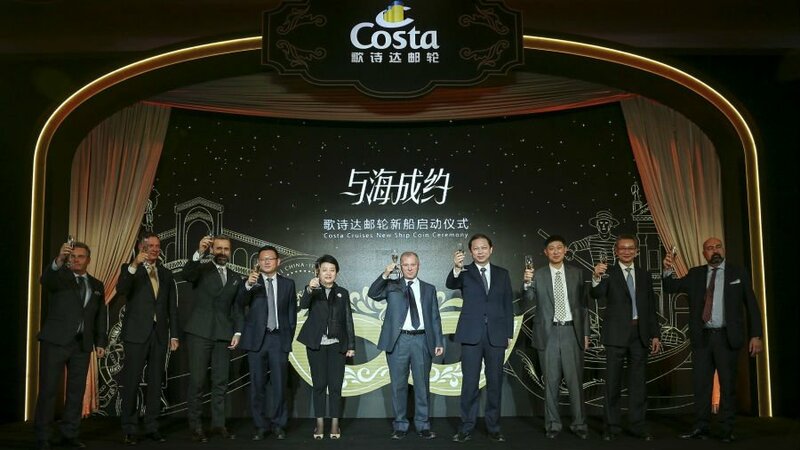 Costa was the first company to operate in China in 2006 and over the years we have established ourselves as a leader, offering a product focused on Italian excellence. Costa Venezia will feature other unprecedented innovations, designed specifically to offer Chinese customers a real Italian experience, marking a new era for both Costa and the whole Chinese market, which is among the most promising in the world in terms of future growth," Mario Zanetti, President of Costa Group Asia. The Mayor of Trieste Roberto Dipiazza stated: "It is a great pleasure for the city of Trieste to host the naming ceremony of this new ship by Costa. With great pride, both from an institutional and personal point of view, I applaud this new jewel, which is the result of the work of the best talents in shipbuilding and Italian design who reside in our region and city. Our expertise, our values are well rooted in the Costa Group. This new ship, along with the other “queens” that we had the pleasure of admiring in our Gulf, will be another ambassador of Made in Italy in the world. There is a strong bond of mutual respect between Trieste and the Costa Group, that I am sure will continue to strengthen in the future." The first Costa Venezia cruise will depart from Trieste on March 3, 2019 and sail to Greece and Croatia. On March 8, the ship will be back in Trieste for the start of its maiden cruise: a 53-day journey as the ship moves to Asia. The Costa Venezia will be the second Costa ship named in Trieste as in 2011 the Costa Favolosa was named in the port. Trieste, February 14, 2019 – A special event took place today at the Monfalcone shipyard: Fincantieri and Princess Cruises, the world’s largest international premium cruise line and a brand under Carnival Corporation & plc, celebrated three construction milestones of three “Royal” class ships, currently in different construction phases. 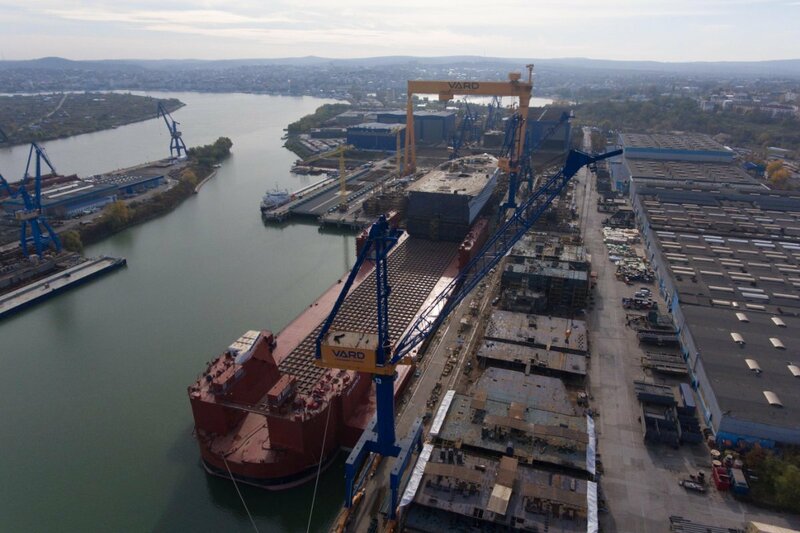 The day began with the live broadcast of the steel cutting for the sixth and last Royal-class ship, still unnamed, from the shipyard of Castellammare di Stabia (Naples). 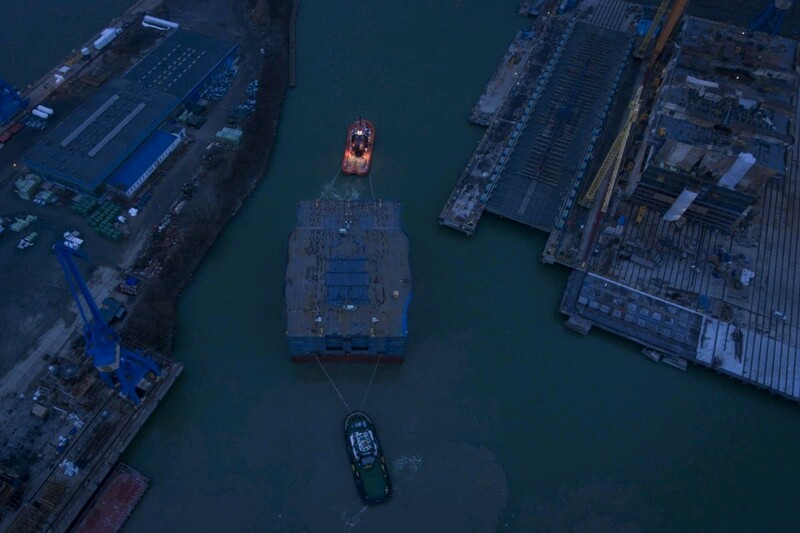 The section, once completed, will be transported by sea to the yard in Monfalcone, where the ship will be completed in 2022. 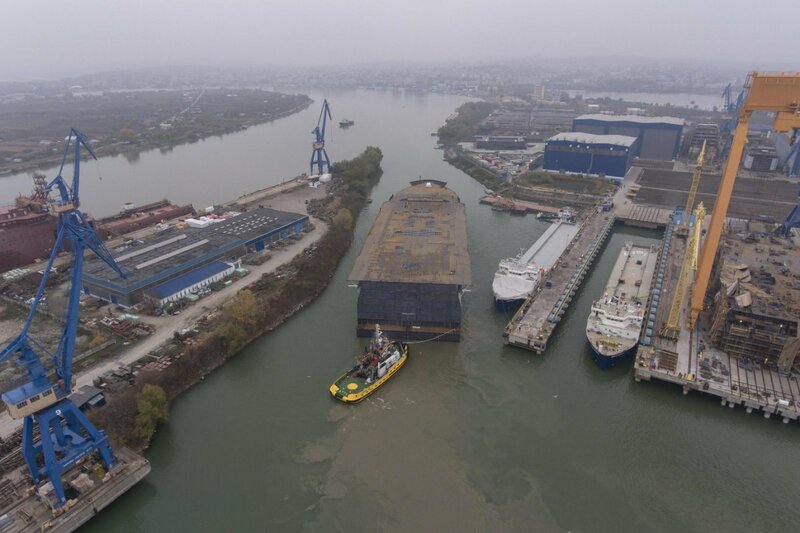 Later, in Monfalcone, the keel laying of “Enchanted Princess,” the fifth unit of the same class to be delivered in 2020, was celebrated. The event was attended, among others, by Jan Swartz, Princess Cruises and Carnival Australia group president, and Luigi Matarazzo, Senior Executive Vice President Merchant Ships Business Unit of Fincantieri. Finally, the celebration in honor of the recent “Sky Princess” float out took place. 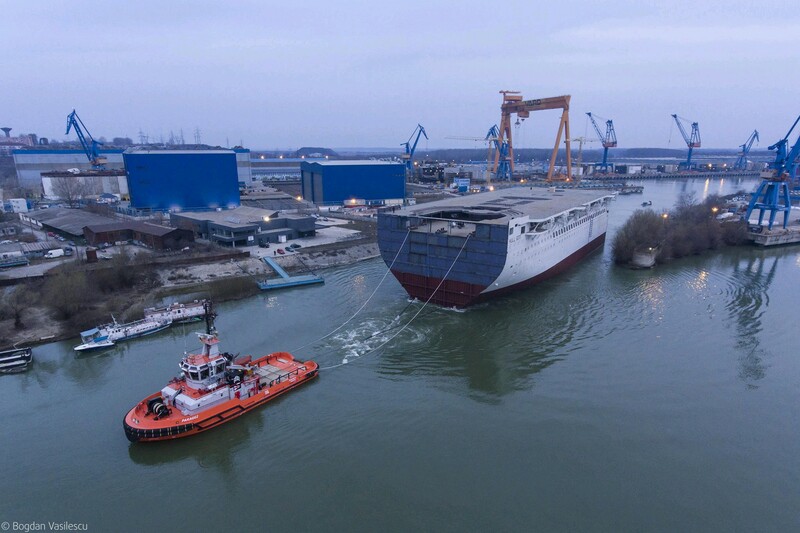 Set to join the fleet by the end of the year, the ship is the fourth unit after “Royal,” “Regal,” and “Majestic,” which all took the sea from the Monfalcone yard, as well. Madrina of this ceremony was Ms. Kerry Ann Wright, 2nd officer for Princess Cruises. At the conversion into contracts of the Memorandum of Agreement announced in July 2018, the partnership between the Monfalcone yard and Princess Cruises will continue with two next-generation cruise ships. 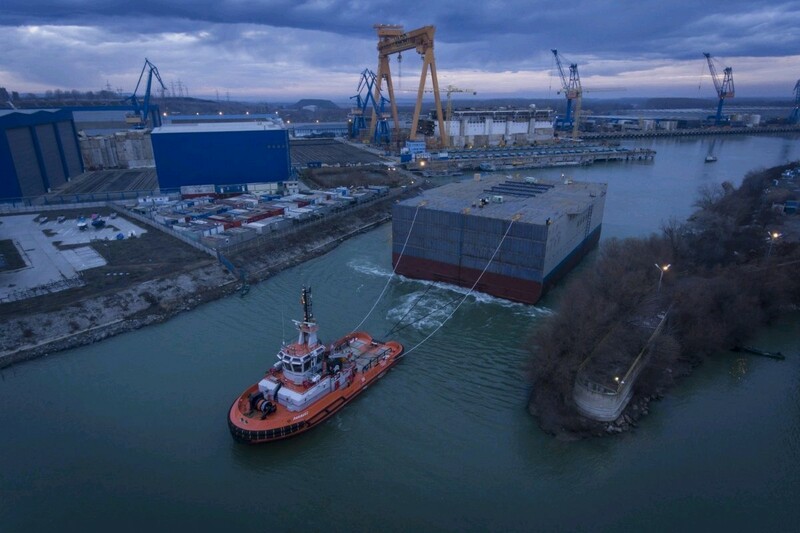 These will be the largest built so far in Italy with a gross-tonnage of 175,000 tons, expected to be delivered at the end of 2023 and in spring 2025. The vessels will accommodate approximately 4,300 guests and will be the first of the ship owner’s fleet to be dual-fuel powered primarily by Liquefied Natural Gas (LNG). Fincantieri has built 88 cruise ships from 1990 to today, 66 of which for Carnival Corporation, 16 for Princess Cruiss, while other 55 are currently being designed or built at the Group’s yards. Built by Ficantieri at its Monfalcone shipyard, she will offer Chinese clients the best of Italy, strengthening Costa's leadership in China. The ship is part of an expansion plan that includes 7 new ships arriving for the Costa Group by 2023, with an investment of over 6 billion euros. Monfalcone, February 28, 2019 – Today, at the Fincantieri shipyard in Monfalcone, in the presence of Matteo Salvini, Interior Minister and Deputy Prime Minister of Italy, and Edoardo Rixi, Deputy Minister of Infrastructure and Transport of Italy, Costa Cruises officially took delivery of Costa Venezia, the Italian company's first ship designed specifically to offer the Chinese market the best of Italy. Costa Venezia is part of an expansion plan that includes a total of 7 ships being delivered to the Costa Group by 2023, for a total investment of over 6 billion euros. With a gross tonnage of in at 135,500 tons, 323 meters in length and a capacity for over 5,200 guests, Costa Venezia will be the biggest ship introduced by Costa to the Chinese market, where the Italian company was the first to start operating in 2006 and is currently the leader. It will offer a series of unprecedented innovations designed specifically for Chinese customers, introducing guests to Italian culture, lifestyle and excellence, starting from the interiors, which are inspired by the city of Venice. As Michael Thamm, Group CEO Costa Group and Carnival Asia, explains: “Costa Venezia will help us to further develop the cruise market in China, which has a great unexplored potential. Suffice to say that, currently, 2.5 million Chinese people a year choose to go on a cruise vacation, which is less than 2% of the total number of Chinese people who travel abroad. Moreover, Costa Venezia further strengthens Costa's bond with Italy: it is a ship built in Italy, by an Italian shipyard, which flies the Italian flag and which will make Chinese guests experience unforgettable Italian experiences. Giuseppe Bono, CEO of Fincantieri, said: “For us “Costa Venezia” is the emblem of what we are able to do and where we intend to arrive, but she is also the product of the historical partnership with Carnival Corporation and Costa Crociere, which enhances the tradition of Italian manufacturing and know-how, projecting them towards other borders”. Bono continued: “As a consolidated industry leader, our contribution to the cruise industry, considering the units we delivered and those we have on order, will count on 143 ships in the coming years, with 1 cruise passenger in 3 sailing on our jewels. As soon as “Costa Venezia” will enter into service in China, putting on show what we are able to realize in a still unexplored market, I am sure that a new chapter will be opened in the successful history of Fincantieri”. Arnold Donald, President & CEO of Carnival Corporation, stated: “The delivery of Costa Venezia is a further step in the growth of a strong and sustainable cruise industry in China, which someday, we believe will be the largest cruise market in the world. The growth of the Chinese cruise industry will continue to open the world to millions of Chinese travelers and bring ever increasing prosperity to its people". "As the first ship built specifically for the Chinese market, Costa Venezia marks the start of a new era, not only for Costa and Fincantieri but also for the Chinese cruise industry as a whole", says Mario Zanetti, President of Costa Group Asia. "From conception to delivery, everything about Costa Venezia has been designed having the Chinese customer in mind. Costa Venezia will continue to offer the authentic Italian experience that is a hallmark of Costa, but with further innovations that have never been seen before and which are designed to meet the needs of the local market even better”. On Costa Venezia, Chinese guests will experience the uniqueness of Venetian and Italian culture. The ship's theatre is inspired by the Venetian "La Fenice" theatre; the main atrium is reminiscent of "St. Mark's Square", while the main restaurants recall the traditional architecture of Venetian alleys and squares. Actual gondolas, made by the Squero di San Trovaso artisans, can also be found on board. Guests can also savor the delicacies of Italian cuisine, shop in the on-board shops with many famous "Made in Italy" brands and enjoy the internationally renowned Italian entertainment, with a masked ball that will recreate the magical atmosphere of the famous Carnival of Venice. They will also feel at home with a wide choice of Chinese food on offer, the Chinese-style karaoke, many parties including the "Golden Party", full of surprises and gifts to be won every ten minutes. The Costa Venezia naming ceremony is planned for March 1 in Trieste, with a spectacular air show by “Frecce Tricolori” acrobatic team and a firework display involving the whole city. The vernissage cruise will depart from Trieste March 3, 2019, bound for Greece and Croatia. On March 8, the ship will be back in Trieste for the start of its inaugural cruise: an exceptional, 53-day trip following the tracks of Marco Polo through the Mediterranean to the Middle East, South East Asia and the Far East before docking in Tokyo. The vernissage and inaugural cruises will be the only departures available to European and American guests wishing to enjoy a vacation on the new ship. From May 18, 2019, Costa Venezia, in fact, will be dedicated exclusively to Chinese guests, offering cruises in Asia departing from Shanghai. After Costa Venezia, the group's next ship to come into service, in October 2019, will be Costa Smeralda, the new Costa Cruises flagship and the first ship for the world market to be powered by LNG. 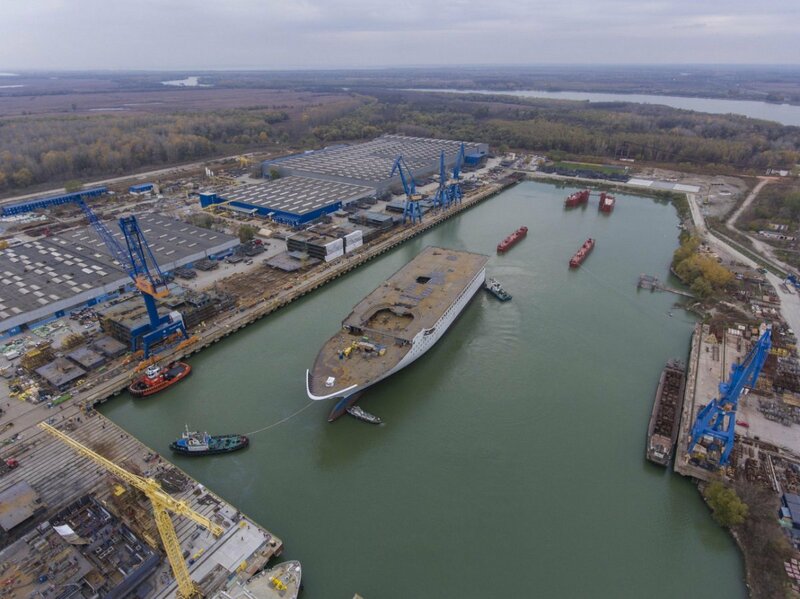 A second ship designed exclusively for the Chinese market, a sister ship to Costa Venezia, is currently under construction by Fincantieri in Marghera and is expected to be delivered in 2020.